First Bus bosses have claimed that their decision to change the route of a busy Aberdeen service was taken to improve passenger safety, despite a councillor describing the move as “a dog’s breakfast”. The number three First service has been re-routed away from the top of Midstocket Road and along Camperdown Road, leaving many residents with a lengthy walk. Meanwhile, residents of Camperdown Road are unhappy that three services are now using their relatively narrow street and argued there had been no warning of the changes, although this was denied by First. There were similar arguments a decade ago over the rerouting of a previous service, prior to the number three eventually covering the route. 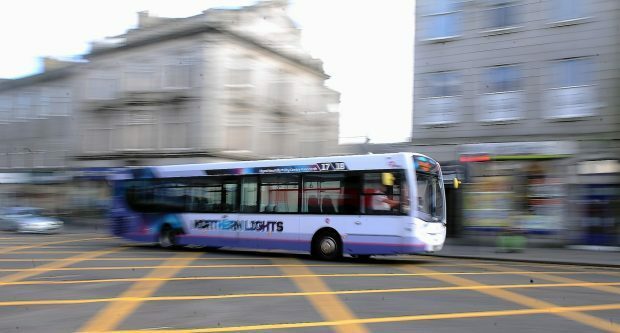 Council bosses have met with the company in a bid to hammer out a solution, but First Aberdeen operations director David Phillips insisted the change had been implemented to rectify safety issues. He said: “The decision to alter our number three service was taken to address a number of safety concerns on the route due to parked cars and accessibility issues on Raeden Park Road. The safety of both our passengers and our staff has to be our number one priority in these circumstances and is something we simply cannot compromise on. “First Aberdeen followed the correct four-week consultation process with the local authority on the most recent changes, as is standard procedure. We have since met with Aberdeen City Council and shared our concerns directly again along with the reasoning for altering the route. “The council have agreed to go away and examine the matter further with a view to addressing some of these concerns. We are happy to review what we have done if some of our safety concerns can be addressed. However, Midstocket and Rosemount councillor, Bill Cormie, said the firm had made a “dog’s breakfast” of the re-routing and added he had been told the firm had admitted not enough consultation had been carried out.